Potentially a slippery slope coming along. 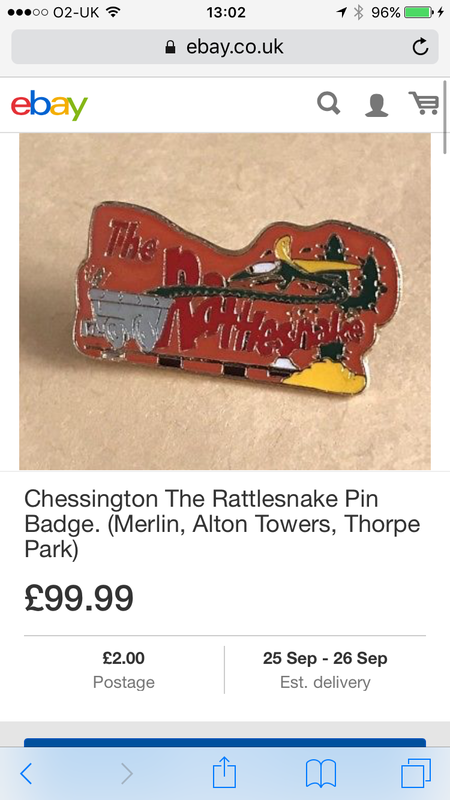 Many times I've seen guests be quite blunt / upfront about trying to get pin badges from staff (in some cases adults getting their children to ask to try and play the 'sweet kid' card), and said guests be quite rude if they don't get the way. Having swapathons and encouraging swapping in that respect will make it easier for guests to try and twist staff's arm to get them. And will lead to the self-entitled AP holders to get all the more agitated and rude. Merlin should just do the Disney thing then and say that staff have to give their pins if guests ask to trade. Isn't that in effect what they do with Pop Badges though, especially nowadays? 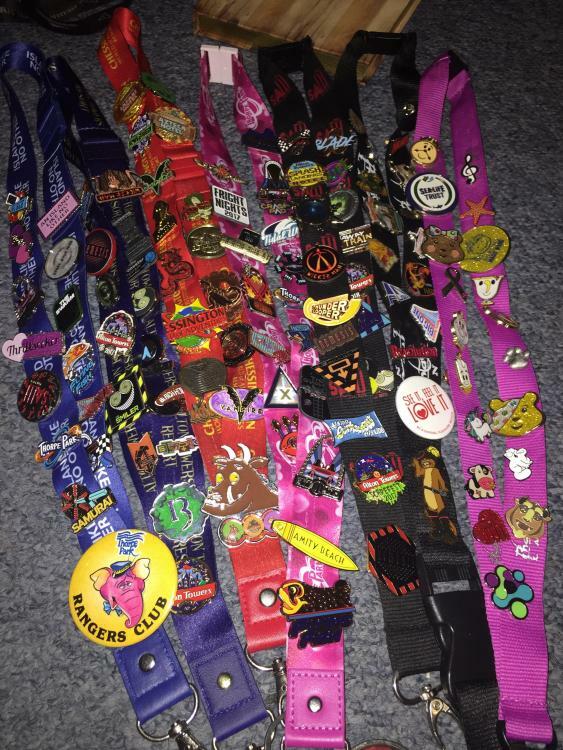 I'm pretty sure the questionable adults on the pop swap pages whom hold thousands of them complained that staff wouldn't swap their personal badges from outside the resort / charity badges that they purchased. Plus even I recall how much of a painful experience it was and that was a few years ago. I remember having a parent hold up the entire operation of an AIR station because she refused to do a badge swap at the exit gate exclaiming that if I left her I'd walk away and she wouldn't get her swap. 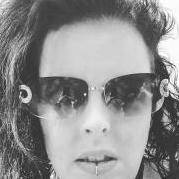 I also remember being shouted at for refusing pin swaps of pins like my Allstars badge at Thorpe and Merlin Way badges - which were earned and personal for me and in no way under a policy to be swapped. Whilst I'd love it to be like Disney; I just think it's got a long way to go before that happens, both on what the park supply to staff; and how parents adults people guests interact to get them. I haven't a clue. The disclaimer above just says staff aren't required to swap pin badges. cheeky sod selling it is after £2 postage aswell ? Reviving a slightly old topic here. Someone should have warned me that pin badge collecting is so addictive ?. At the moment I’m not massively into parks due to recent circumstances however @Roodie and I began pin badge collecting last year -and I’ve been carrying it on (though it’s hard getting just one of each instead of 2 ?). So far I’ve only done Thorpe twice this year which has enabled me to get the recent pins and I ordered some from AT online shop. I still need to get the new CWOA ones at some point. 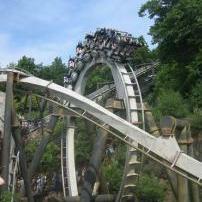 I was wondering if Towers had new pins for Oblivion, Nemesis, Galactica, Rita or Smiler this year as there were none on the online shop - anyone know? 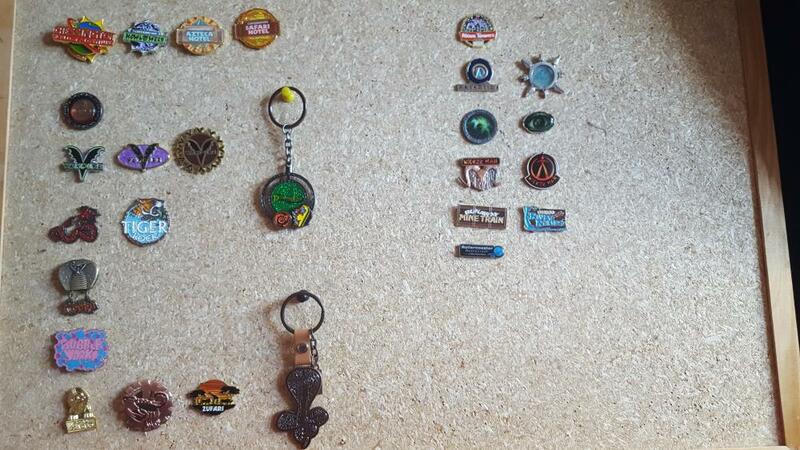 Also I have Infusion, Revolution, Valhalla, Big One, Avalanche, Big Dipper and W&G pins from BPB but wondering if they have released an Icon pin? Anyhoo here’s a pic of my pin collection so far - as well as TP, AT, CWOA and BPB I also have a couple of pins from Phantasialand (Phanny logo and pins of each dragon minus one) plus some random pins and charity pins....I may need help ? Ah you have a Bubbleworks one! I had one years ago but lost it - sometimes they pop up on eBay and go for at least £30 ?.